Sioux Falls School District (SFSD) sought a new approach to strategic planning that would tightly align vision and mission to overcome the myriad challenges the district faced, including rising enrollment, a shortage of teachers, an increasing population of English Language Learners, and falling graduation rates. Under the leadership of Dr. Brian Maher, SFSD embarked on a strategic planning process during the 2015-16 school year. Working in partnership with DMGroup, the strategic planning process began with an in-depth quantitative and qualitative study of the current state of the district and its recent performance, paired with a well-crafted community engagement plan. The result was an actionable, results-oriented strategic plan that has mobilized the district and the community to work together toward shared goals. Within the first year of implementation, this focused work was already showing positive impact thanks to specific action steps and measurable objectives included in the strategic plan. In January of 2018, the district reported that data from the 2016-17 school year showed increases in graduation rate, math proficiency at the 8th-grade level, and college entrance exam scores – all outcomes directly related to priorities emphasized in the strategic plan. There isn’t a board meeting that goes by where we aren’t talking about how we are addressing our strategic plan. We are always referring back to our strategic plan. DMGroup’s approach helped us craft a strategic plan that drives our district’s work. Before even arriving at Sioux Falls School District (SFSD) Dr. Brian Maher knew his first objective would be to work with the district to create a new strategic plan. While new to the district, Dr. Maher was aware of many of the challenges the district was facing. Through his initial listening and learning tour, Dr. Maher found that Sioux Falls School District had “a great base to build upon,” and was eager to develop an actionable, results-oriented strategic plan that would engage the community and mobilize the district to work together toward shared goals. Partnering with DMGroup to guide the work, the first step was to form a steering committee comprised of ten district stakeholders. A priority for the steering committee was to foster thoughtful dialogue about the district's goals and priorities by engaging parents, community leaders, school employees, students and others throughout the process. There was a significant rise in the number of moderate to severe behavior-related incidents at the elementary level in the past five years. Focus groups indicated that current services and programs for behavior support need enhancement to serve growing student needs. The Needs Assessment provided a shared understanding of the strengths and opportunities of the district, allowing the steering committee to begin the critical step of identifying a Theory of Action—a set of beliefs and underlying assumptions about what would drive improved student performance. 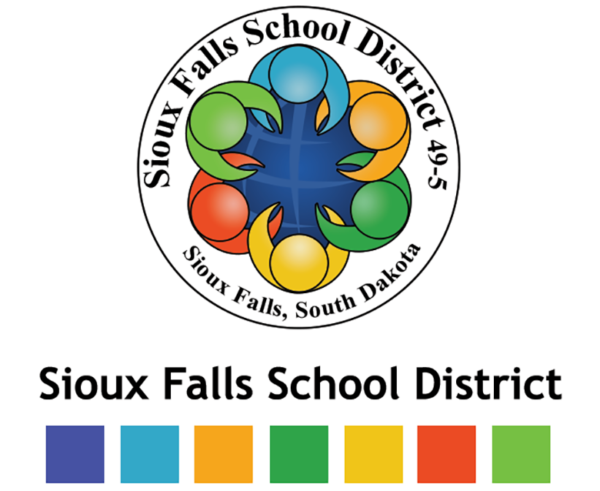 In Sioux Falls, the steering committee had a clear vision and mission, so the hard work at this stage was to engage in authentic and courageous discussions about the core beliefs of the district, what was working well, what needed to change, and how SFSD intended to achieve its long-term vision and mission, while successfully addressing the root causes of challenges. Dr. Maher and the steering committee reached a consensus on a Theory of Action centered on empowerment, accountability, and setting high standards. The next step after articulating the Theory of Action was to determine priorities and goals. DMGroup helped guide the committee to identify a short list of broad areas of focus to propel the district to achieve its mission and vision. After multiple discussions, the committee settled on eight key priorities grouped into four priority areas. The committee also identified measurable goals that were highly specific and would help drive results and track progress. For example, two of the measurable goals in the Student Outcomes priority area were increasing graduation rates by 5% and bringing 3rd-grade reading scores up to the state average, with specific timeframes for achieving each. With a draft of the strategic plan in hand, the steering committee scheduled three community engagement meetings at different locations and launched an aggressive campaign to get the word out about the meetings. The result was a series of valuable and constructive interactions with stakeholders that helped refine the plan and pave the way for further SFSD engagement and community support. SFDS’s strategic plan was approved by the School Board in January 2017. For many initiatives, the steering committee was able to make these assessments with existing information. However, SFDS’s steering committee struggled to come to an agreement on some of the district’s elementary literacy programs and decided that a more detailed examination was needed. The committee launched an Academic Return-on-Investment (A-ROI) analysis of SFSD's Literacy in Action program, which the district had invested heavily in and involved the deployment of many of the district’s strongest reading teachers. However, the program's impact was unclear. DMGroup supported SFDS with A-ROI training and an A-ROI study of their Literacy in Action program, and the work ultimately supported the district's difficult decision to eliminate the program. Dr. Maher pointed out that this change created an opportunity to redirect significant resources to programs that would have a greater impact on raising the district’s reading scores. For each initiative, the steering committee and their working partners identified specific action steps. The result was a comprehensive and specific road map to implement the district’s strategic plan, leading to measurable, significant results. For example, in the Priority Area of Staff, one initiative aimed to increase the diversity of the teaching force. The team identified action steps for this initiative to establish the High School Teacher Pathway program to help students become teachers and the Teacher Internship program to bring college students into the classroom, both of which quickly became a reality. Likewise, in the Priority Area of Student Outcomes was an initiative to increase graduation rates 5% by 2019. With a concerted cross-functional action plan, the district improved its overall four-year graduation rate from 80.55% to 83.79% for SY2016-17, a gain of 4% representing significant progress toward the district’s goal. SFSD’s strategic plan does not sit on a shelf but instead serves as a guiding document for all decisions that are made within the district and by the board. The Needs Assessment provided a rigorous quantitative and qualitative performance analysis of the district’s schools over the previous five-year period, a critical baseline for setting priorities. Listening to stakeholders convinced Dr. Maher and the steering committee that school autonomy would be key to success for SFSD, which led to consensus on a Theory of Action centered on empowerment, accountability, and setting high standards. Eight key priorities grouped into four priority areas provided focus aligned to the Theory of Action and designed to achieve the district’s vision. Identifying new initiatives is generally easy but it can be difficult to acknowledge that existing initiatives aren’t working as hoped and should be modified or removed. A thorough initiative review, along with Academic Return-on-Investment analysis for a key literacy program, helped SFSD’s steering committee ensure resources were deployed effectively and in alignment with strategic priorities. A clearly defined set of initiatives, along with action steps for each initiative, now guides the daily work of the district. The district made clear and measurable progress on its eight key priorities, including graduation rate improvement supported by focus on measurable objectives and significant progress on staff diversity driven by action steps. When Dr. Brian Maher became superintendent of Sioux Falls School District (SD), he knew he needed to create a dynamic, detailed strategic plan to effectively tackle the district’s challenges. Partnering with DMGroup, Dr. Maher set out to develop an actionable, results-oriented five-year strategic plan that would engage the community and mobilize the district to work together toward shared goals.